After months of gathering documentation, attorney meetings and court appearances, our prayers were answered, but not in the way we wanted or expected. My daughter, Cherokee and Son-in-law, Chris were fighting for permanent custody of Chris’s two sons; 9 year old Haydon and 4 year old Keaton. He shares 50/50 custody with his ex-wife and the arrangement has been stressful and is not in the best interest of the boys. Cherokee and Chris were given the news this past Thursday that permanent custody would NOT be granted. We were all disappointed, sad and angry at the judge’s decision. 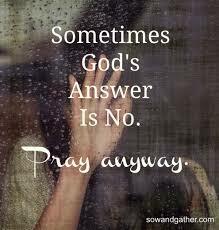 I then found myself asking God, “WHY?” I prayed! Others prayed! This was not some attempt to get back at an ex. This was sincerely for the health and well-being of the boys. Why would God not give Chris custody of his sons? Why would justice and safety for the boys not be God’s will? Why would God leave these young children in an unsafe situation when we love them so much and can make sure they are safe and cared for? All questions I may never have answers for. I have come to understand that God doesn’t owe us any explanations on anything He does. We may never know the ultimate reasoning for this decision. Sometimes we pray and are still heartbroken by the outcome. THEN WHY DO WE PRAY? I will NEVER stop praying! I will NEVER stop believing! Why do I continue to pray? Why do I continue to believe? It’s simple really. Even in a life of struggle, I have seen the manifestation of the goodness of God. I have seen the answers to unspoken prayers and the protection of my children when the only answer could be: THAT WAS GOD! He continues to work good into my life even when He answers no. Without God, there is no hope. No hope in the goodness of people. No hope that all things will work out for the better. No hope that death was defeated and the enemy crushed forever. When we stop praying the enemy laughs. When we stop believing the enemy wins. Did God answer NO! to your prayer? Are you confused? Are you angry? I urge you to keep praying. We can only see what’s in front of us. God can see the whole picture. He knows what is coming and He knows what is best for us. I know that God loves Haydon and Keaton even more than we ever could. He has every hair on their heads numbered and He will protect them and keep them safe. We have to choose to believe. I WILL continue to pray that God reveals His will in this situation. I choose to believe that this is not over. He is still at work and will bring good where we only see injustice and sadness. If God has NO! to your prayer and you are struggling to make sense of it, please contact me. I don’t know all the answers, but maybe together we can continue to pray and find the hope that is buried underneath the confusion, anger and sadness. God IS good and He continues to have our best interest at heart. NEVER STOP PRAYING! NEVER STOP BELIEVING! a heart that longs for you and you alone. free of the stain of greed and unforgiveness. I want to break free of the idol of judgement and fear. My trust is in you and you alone. and there is only ONE God. give me a passion to stand in YOUR holy place. I want to grow ever closer to YOU, Lord. I want to abide in YOU, heavenly Father. I am a reflection of you in this world. 1. Praise and Worship– Our Father in heaven, hallowed be your name. We acknowledge who God is to us by praying, Our Father in heaven. This establishes our relationship with God. According to http://www.merriam-webster.com the definition of hallowed is holy, consecrated, sacred, or revered. This tells us that God’s name is holy, sacred, and to be revered. We don’t have to use these exact words in our prayers, but we do have to give praise and spend a moment in worship of our heavenly Father. Jesus put this part of the prayer first, because it is the most important part. To give praise and worship to our God is the most important thing. 2. 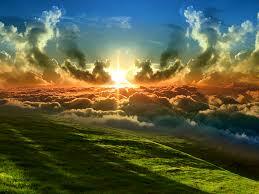 God’s Will– Your kingdom come, your will be done, on earth as it is in heaven. We are to pray for God’s will in ALL things. I know how easy it is to slip into self-satisfying prayers, or prayers that push our own agendas instead of God’s. 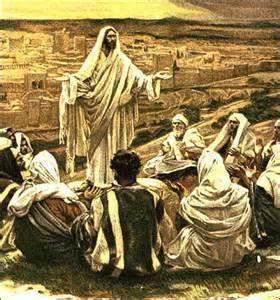 Jesus lived His life doing God’s will, seeking God’s will and obeying God’s commands. We need to do the same. It is okay for us to want things, but God knows what is best for us and we need to seek His will in ALL things. In these days of unrest and evilness, it is important for us to be in prayer that God’s kingdom will come and we will live as God intended, in peace and harmony with each other. There is an urgency and we need to pray for an end to injustice, oppression, and hate. We need to be in prayer that all people will know God’s heart and that this world will be transformed by the love of God. 3.Our Daily Bread– Give us today our daily bread. Jesus is telling us to pray only for what we need today. This is consistent with God’s command not to worry about tomorrow, as found in Matthew 6:34. For Ourselves- What needs do you have TODAY? Don’t waste your time on worrying about tomorrow, focus your prayer on your immediate needs for today. For Others- What needs do family and friends have TODAY? If you know someone or a situation that needs immediate prayer than pray for that person or situation. I’m sure that Jesus prayed for the disciples and God wants us to pray for each other and events in our lives. 4. Forgiveness– And forgive us our debts, as we also have forgiven our debtors. If there is anything on your heart that you need to confess and ask forgiveness for, then you better do it. Nothing keeps us separated from God more than unconfessed sin. Confession is good for the soul! So is forgiving others when they have wronged you. I admit that I have a tendency to hold a grudge. It is hard for me to forgive people who have hurt me. Sometimes the words, “I forgive you” is said between clenched teeth and God has to give me an attitude adjustment. We have to forgive others. Hanging on to the hurts of the past will only hurt us in the future. Let it go, give it to God and live the life you were meant to live. 5. Temptation and Evil- And lead us not into temptation, but deliver us from the evil one. This is so important and Jesus knew how much we would need protection from Satan. Temptations hit us from every side and we need to be prepared. We can not face them alone. Only with God, can we face down temptations, before they take us down. This part of the passage shows just how much God loves us. He knows that there is no way in the natural realm, that we will ever be able to face the evil one on our own. He will deliver us, if we ask Him to. Remember that Jesus intended this passage to be an outline to guide us in our own prayer time. Expand on each part as God leads and see where God will take you in your prayer life. Prayer is how we communicate with God and He has shown us how to do that in His Word. Our journey in prayer is an ongoing process and always evolving, so don’t give up. Keep pressing in and God will bless you abundantly! I have recently read 2 passages of scripture that are very similar in context. I believe there may be more than these 2, but I decided to focus on these 2 passages for this post. 1. Rejoice– According to http://www.vocabulary.com, rejoicing is celebration or festivity. In Thessalonians 5:16 we are told to Rejoice always. I know that this is not easy in this day and age. On a daily basis, we are dealing with the demands of work and kids, all while trying to get everything done on a to- do list that’s a mile long. Believe me, I understand. As I was thinking about this concept, I realized that if “to rejoice” means “to celebrate” than rejoicing is simply a celebration of life. I don’t have to like some of the aspects of being a single mom. I don’t have to like when my kids act up or the car breaks down, but I will continue to rejoice and celebrate this life God has given me. 2. 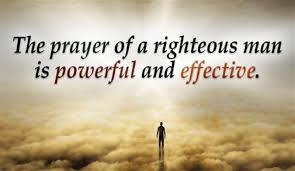 Pray– Philippians 4:6 tells us that in EVERY situation, by prayer and petition, we should present our requests to God. 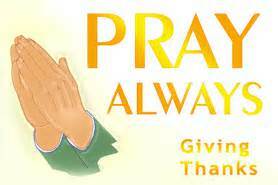 We are also told in 1 Thessalonians 5:17 that we are to pray continually. How often do you pray when you are at work or running errands? Do you remember to pray for that annoying co-worker, the guy that cuts you off in traffic, or that cross cashier? Do you remember to pray when you are in a traffic jam or when things aren’t turning out the way you expected? Honestly, I forget to pray for the people that irritate me. I forget to pray for patience while standing in a check out line. I forget to pray for God to use frustrating situations to mold my character, so that I can be the woman He wants me to be. I have found that I have to be intentional about praying in every situation. The question I ask myself is, “Why is it so easy for me to run to my kids to complain about so and so or this and that, but not communicate with a God who wants to hear about every aspect of my day?” It is something I need to pray about and change so that I am in obedience to God. 3. Give Thanks– Philippians 4:6 tells us that by prayer and petition, with thanksgiving, we should present our requests to God. 1 Thessalonians 5:18 tells us to give thanks in ALL circumstances. I have to admit that sometimes I find God’s commands downright hard to obey! Give thanks when my kids are screaming at each other? Give thanks when my car has a flat and I am flat broke? Give thanks when the roadways are iced over and I have to go to work? Are you kidding me, God? You expect me to give thanks? Yes, He does. Honestly, I would much rather complain about my circumstances, but where does that get me? Feeling miserable, negative and toxic. I don’t like feeling like that. I give thanks that I have 5 kids with healthy lungs. I give thanks that I have a car in the first place. I give thanks that I serve a God of unlimited resources. I give thanks that I serve a God that has a legion of angels that protect me on the roadways when the roads are one slick sheet of ice. I am so thankful that I serve a God that is in control of all things! 1 Thessalonians 5:18 tells us that these 3 commands are God’s will for us in Christ Jesus. We live our lives seeking God’s will for us, but never bother to look in the one place where He actually tells us what His will is: the Bible. I’m guilty of this myself, so I’m not pointing fingers. If you want to know God’s will, read the Bible! 1. Be Gentle– Philippians 4:5 tells us to let our gentleness be evident to all. I have always tried to teach my kids to be gentle with their belongings, with animals, and with their younger siblings. As a mom, have I been that model of gentleness that I want them to see? I hope so. I know there are times when I have failed miserably, but I try. Knowing that God gives us a direct command to be gentle, I will try harder to be that role model of gentleness that not only my kids and grand kids need to see, but the world as well. We live in a world of harsh words, hate crimes, and evil intentions; we need some gentleness in our lives. 1. He Is Near– Philippians 4:5 tells us that the Lord is near. In every situation and circumstance that we find ourselves in, the Lord is near. He knows intimately our heartaches and our joys. He is near when our children leave home for the first time. He is near when we find ourselves broke and homeless. He is near when our loved ones pass away and we are drowning in our grief. He is near. He knows what we go through on a daily basis and He wants to walk through this life with us. 2. We Will Have Peace- Philippians 4:7 tells us that when we obey the commands that God has given that the peace of God, which transcends all understanding, will guard our hearts and our minds in Christ Jesus. When we rejoice; when we pray; when we give thanks; when we practice gentleness; when we give our worries to God: God promises that we will have a such a peace that we will never understand it and this peace will guard our hearts and our minds in Christ Jesus. I know there are days when I could use some peace, how about you? I hope I have given you some food for thought, as you discern who God is to you. We each have our own unique relationship with Him and He relates to each of us differently, as I relate to each of my 5 kids differently. In this relationship, our heavenly Father does have certain commands that He wants each of us to follow for our own benefit. He loves us and doesn’t want us to suffer needlessly. We make rules for our children, because we love them and want to protect them and God makes rules to protect us from the harshness of the world. He never expects us to walk out His will alone. He is always with us and He gives us others to help us up when we fall. If you need a hand up today, let me know. I am here for you as you seek God’s will for your life. I am here for you as you start to implement God’s commands into your life. You never have to walk alone. How can I help you? How can I pray for you? Remember always, that God loves you and so do I! 20 May the God of peace, who through the blood of the eternal covenant brought back from the dead our Lord Jesus, that great Shepherd of the sheep, 21 equip you with everything good for doing his will, and may he work in us what is pleasing to him,through Jesus Christ, to whom be glory for ever and ever. Amen. All my life I have struggled with insecurities. I have never believed that I was good enough. I have never believed that I could do the job I was given to do. The truth is that I can’t do anything on my own. I don’t have the ability to succeed in anything in my own power. Without God in my life, I am completely powerless. I know that God is working behind the scenes to bring me into His full purpose for my life. I am scared because, on my own, I know I will fail. I will never be able to use my talents to glorify Him on my own. Hear my prayer, God of peace and listen to the heart of your servant. I want more than anything else in this world to do your will and to serve full-time. Often, I don’t feel equipped for this calling on my life and I am terrified that I will fail and bring shame and disgrace to you, my heavenly Father. I only want to do YOUR will. 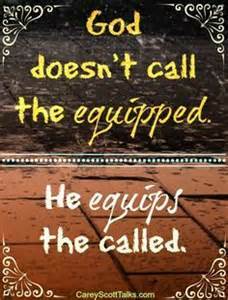 I ask that you will equip me with everything good for doing YOUR will. Give me the skills needed to serve you through serving others. Give me the heart to look beneath the skin and see the heart of the person you love. Give me the patience and the strength to persevere when the going gets tough. Fill me with your love when I am called to wash the feet of one of your children. Use me. Send me. expand my territory. Work in me what is pleasing to you, that I may always seek to glorify your name. I ask this all in the name of my precious Savior Jesus. Amen. I long for more of Jesus in my life. I long to be fully consumed by the Holy Spirit. Filled to overflowing with the love of Jesus. I surrender all I am, everything I have, my past, my present and my future to Him. I completely trust Him with my life. I am totally sold out and want nothing more than to live for my Jesus forever.